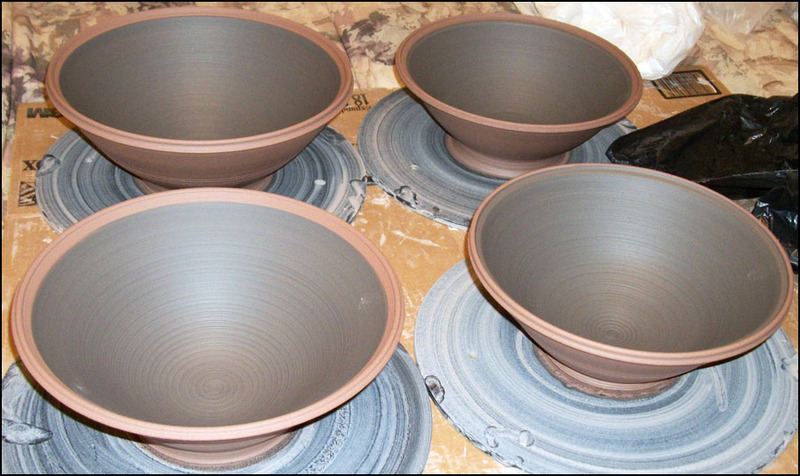 Luke Langholz Pottery: Pots, sort of. So, I was getting all excited to post a real update and show y'all that I've been working hard (sometimes) in the studio, even if I'm not able to update it even remotely regularly. 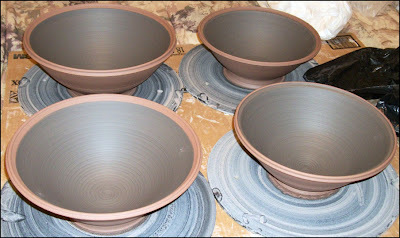 And then I forgot to take pictures of my bisque unloading, and really, it's just more pictures of the same pots, except that their a little bit drier and smaller and in the kiln-ish, so not that exciting. And then the other "big" things I've been working on have been requested not to be posted online until they've been gifted to the appropriate recipients, so that's out. So I have three pictures. Kind of. And they're kind of boring. But I did run a bisque fire recently (last weekend? The weeks are starting to blur together.) Sometime in the last fortnight. If that helps any. I made a slight error in my firing that shouldn't cause any problems, but I still feel a little stupid. Normally (as in, since this studio) I've been firing my bisques to ^04, because that's what most of my glazes say they should be bisqued to prior to being fired to ^6 in the glaze. 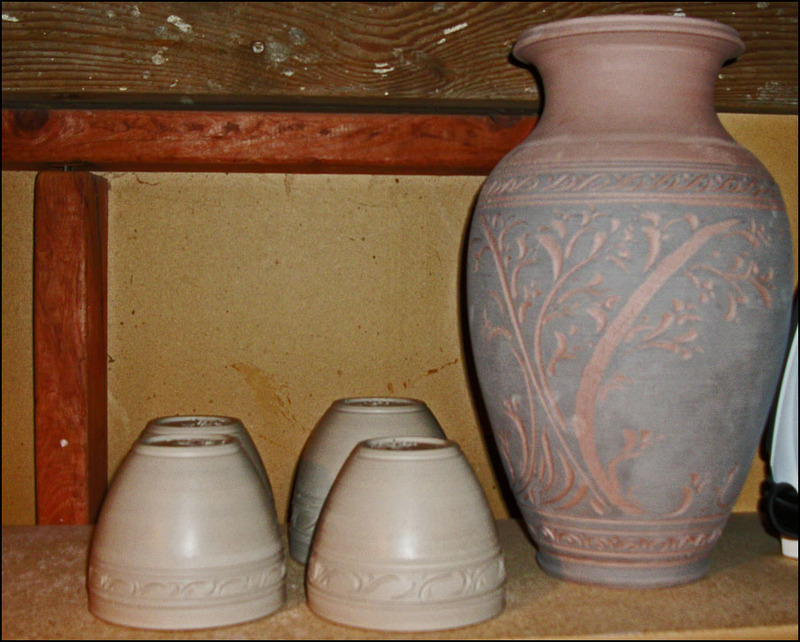 Well, when I loaded up the kiln, I set it to fire to ^08 - the range that we bisqued to back in my college studio. Sort of a brainfart moment. Like mixing up the salt and sugar in your brownie recipe, or putting a carton of ice cream into the fridge instead of the freezer, or failing to take the plastic wrap off the meatloaf between fridge and oven. Yes, all things that I've done. I ran this firing with a couple of my cone packs in, as it had been a few firings and I thought it best to make sure the kiln was still firing to temp. And when I opened the kiln and the cones hadn't dropped at all, but the kiln had still run for 11 hours (short, for this firing, but reasonable) and all the pots had the nice *ping* that comes from being bisqued, I knew I'd done something wrong. Yes, they are ^04 pyrometric cones, so firing to ^08 they won't drop (Scale runs 09, 08.... 01, 1, 2, 3 ^04 is hotter). All that to say, physically, the pots appear to be bisqued reasonably well, and I can't see how horrible of a difference it will be. But some of the pots seem to have a powdery residue that is out of the normal, so that makes me nervous. 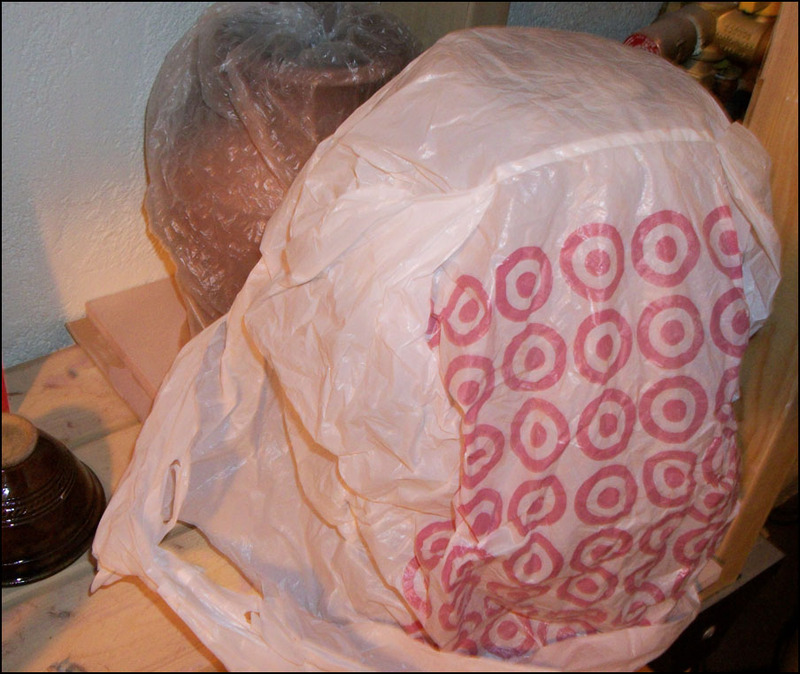 Any pottery pyro-wizards out there have any thoughts for me before I start glazing and ruin 7 cubic feet of pots? Some of these bad boys. Tight. Or, as the kids are saying these days, "clutch." I dunno. Ask my brother about that one. Some cups (part of an order) and a vase that didn't fit in the firing. So if I did screw it up, at least this one will be okay. Here there be vases. You'd think, with only weekly updates, I'd be able to unwrap for the photo shoot, but no, I am really that lazy. Deal with it. In other news, Tempy is still adorable, Pierre is still flooding, and I think we'll be blowing our savings driving across the upper midwest all summer for weddings and such. There are flowers on our tomato plants outside, but no fruit, and our green beans have been a dismal disappointment. I pulled weeds in the driveway this week, have recently discovered that I greatly enjoy feta on just about everything. In music news, I'm not buying any for a while because I sort of have a problem. But Bon Iver's self-titled sophomore release was streaming on NPR's All Songs Considered and it is fabulous. Really a beautiful album. That's going on my wishlist, because I'm not buying it. Gotta save up my pennies for new releases from Switchfoot and MuteMath this fall. And that's about all about which I feel like rambling at this moment. Have a wonderful evening, friends. And, since I probably won't post before then, have a very happy Fiscal New Year as well!